So as many of you have heard on the podcast, I participated in Extra Life United (ELU). I flew down to Florida at an absurdly early hour (editor: 8am is not absurdly early) and got a chance to participate in a gaming tournament that would ultimately net the grand winner’s hospital over $90,000 . 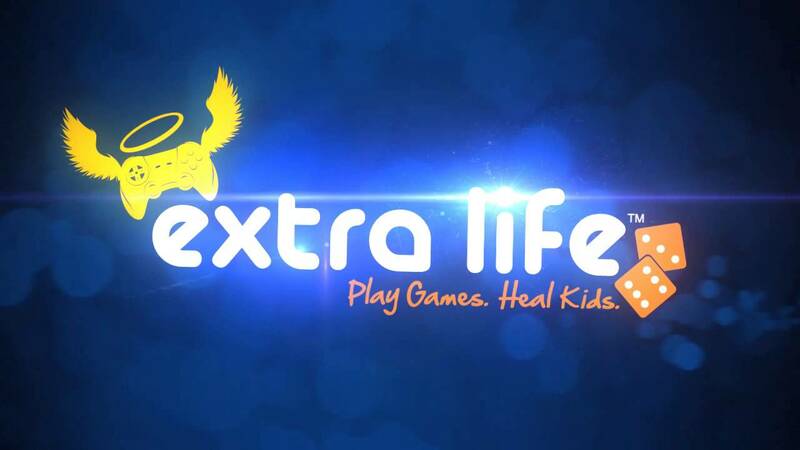 But you dear reader may be asking yourself, what is Extra Life? Why is it now United? How can I participate? How do you get your hair to be so bouncy and soft? As for the Extra Life questions, let us start with the big one. What is Extra Life? Extra Life is a charity event that supports Children’s Miracle Network Hospitals in the United States and Canada. It started in 2008, as a part of the Sarcastic Gamer Community, to honor the life and memory of Victoria Ennis. Check out the video below to get more info, but I warn you that it will bring a tear to the eye. Since 2008, Extra Life has been raising money to support Children’s Miracle Network Hospitals across the United States and Canada. This year, 2014, Extra Life have raised close to 6 million dollars so far, and the fundraising does not stop until December 31st. 100% of the donations go to the children’s hospital of the raiser choice, I am supporting Children’s Hospital of Philadelphia. Check out the link below for more info and the opportunity to donate to my page. What is Extra Life United? This is something new for 2014. It was a tournament that took place at the Children’s Miracle Network Momentum 2014 conference at Walt Disney World. The tournament was broken into two parts. First a 64 person, single elimination tournament of DiveKick on the Ps4, to narrow the field down to 4 finalist. The second part would see those 4 finalist go up against 12 Twitch Streamers in a 5 game competition consisting of Divekick, Minecraft, NBA 2k15, Nidhogg, and Towerfall. In addition to this two part tournament, there would be side events that would allow the Extra Lifers who did not qualify to earn money for their hospital, through scavenger hunts, Rock, Paper, Scissors competitions, or various small game tournaments. With all of that going to their children’s hospital of choice. Now that is pretty cool , but it is not the most important part. The most important part was the children. ELU gave the Extra Life players a chance to cheer for, meet, and hang out with the Children’s Miracle Network 2014 Champions. These are 64 kids, 52 from the U.S. (1 from each state, plus DC and Puerto Rico) and 12 from Canada, who represent the 32 million treatments provided by Children’s Miracle Network Hospitals. They have a wide array of different challenges, but from meeting them, it was hard not to be inspired by their warmth, energy, and happiness. Some came over to play some games, others gave at signatures and stamps, and all were amazing. Meeting them helped cement why the 64 of us were there and why we should redouble our efforts when we went home. It is tough to write this, and not sound corny, but between the Extra LIfers and the Champions, it was a magical week that will stay with me for the rest of my days. So with all of that said, now the question is how can you get involved? 1) To be nominated by your hospital, to represent them. 2) There was a lottery that took place for the remaining spots. The lottery was done by email and all who participated in Extra Life had the opportunity to put their name in the hat. Now the first is not as difficult as you may think. If you are already participating in Extra Life, then you have already picked a hospital. 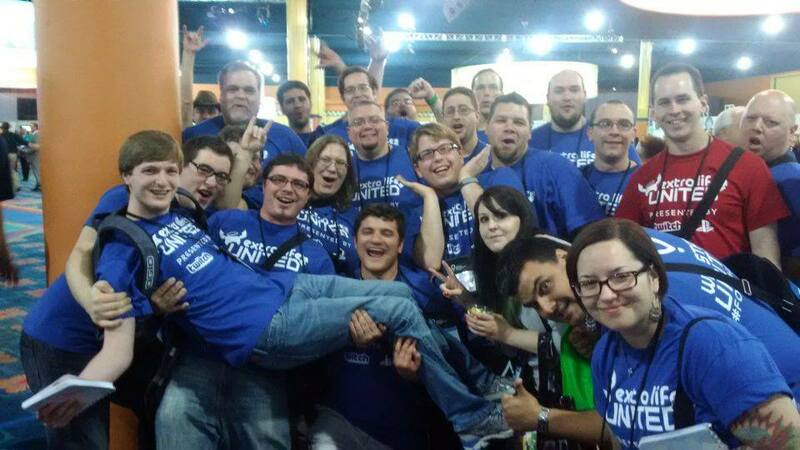 Check the Extra Life website to see if there is a guild for your area and get involved. Guilds help get the word out about Extra LIfe in the local area through participating in different events to get people signed up and informed about Extra Life. If there isn’t a guild, reach out to the charity coordinator for your hospital and ask what you can do to help. The second one is easier, but your chances are lower. When the email comes out, make sure to enter as soon as you can. Either way, I suggest giving it a shot, assuming you can swing the travel costs to Florida. It was a great opportunity to be able to hang out with wonderful people and an amazing opportunity to meet the children, since after all, they are why we do this. P.S. One more thing, notice there were 64 Extra Life participants and 64 Champions, well Sony sent down 64 PS4 for use in the tournament. At the end of the weekend, all of the Children’s Miracle Network Champions got to go home with a new (or gently used from the tournament) PS4, with all of the games, two controllers and two headset. Thanks SONY!